SERP Preview provides an easy way to rewind and preview search engine result page data. 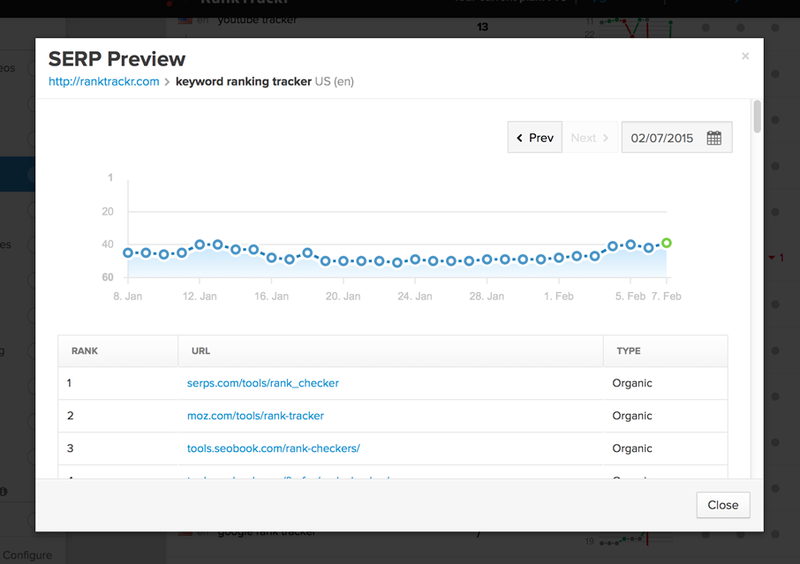 With SERP preview you can see how your competitors and other search results were ranking in the history in comparison to your ranking. Choose the date in the top-right corner or click "Prev" to rewind SERP for a day.